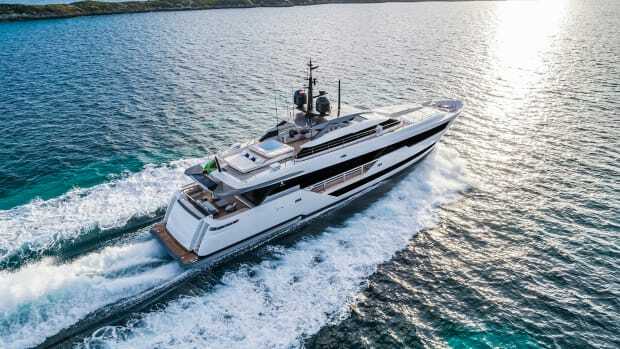 Baglietto presented two new projects at the Monaco Yacht Show: a 65m V-line by Francesco Paszkowski Design and a 43m explorer yacht by Santa Maria Magnolfi. 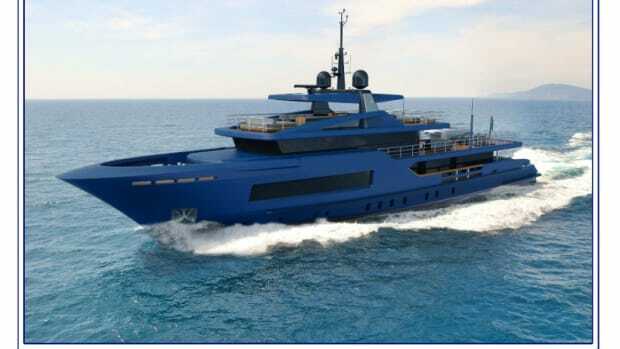 Venerable Italian shipbuilder Baglietto has presented two new projects at the Monaco Yacht Show, which will further expand the shipyard’s range: a 65m V-line model by Francesco Paszkowski Design and a revolutionary 43m explorer yacht designed by Milan-based design firm Santa Maria Magnolfi. 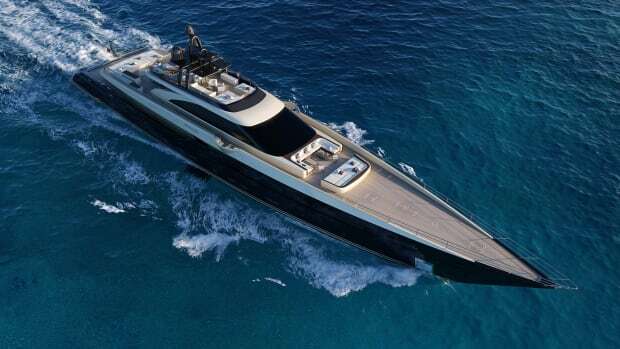 While featuring a slightly retro-style concept, this yacht has also a very modern look, especially in the aft area. 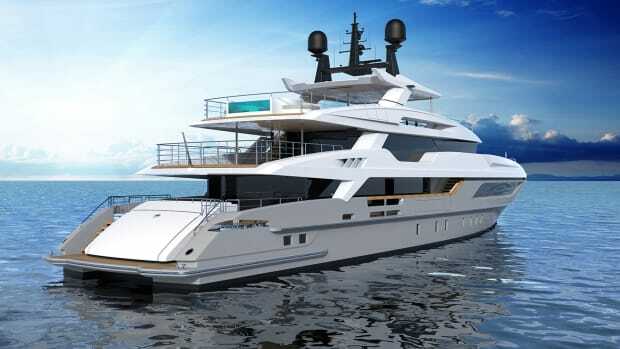 While the roll bar seems to trace back Baglietto’s history and traditional style, drawing inspiration from lines like the Adler, the stern hosts an innovative float-in garage that can store a 10m tender and be converted into a huge beach club thanks to two side hatches. The guests can also reach their cabins via a third hatch located in the central part of the boat. 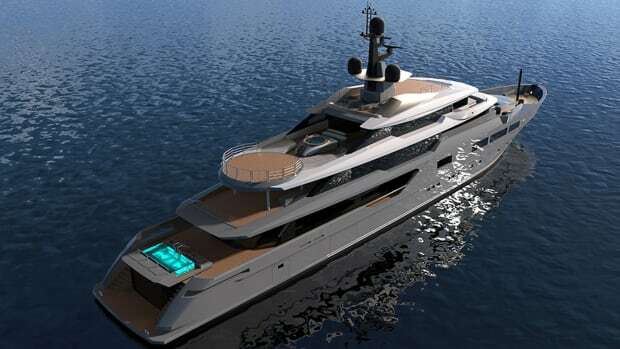 The core inspiration and fil rouge on this yacht is the very special bond between light and water, found in many aesthetic details across the boat: from the floor-to-ceiling windows on the main and upper decks (a distinctive element on all Baglietto yachts pencilled by Francesco Paszkowski) to the swimming pool on the upper deck, with the see-through bottom offering a view of the aquarium located below it on the main deck. Onboard accommodation includes six cabins: a master cabin and a VIP cabin on the main deck and four guest cabins on the lower deck. A helipad for touch-and-go landings and a water toy storage area can be found forward. Several propulsion solutions are currently being developed for the 65m, including a hybrid one. 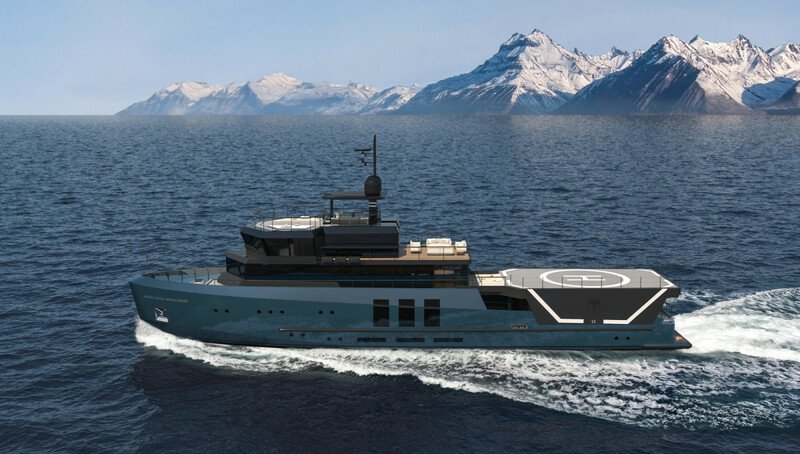 According to Baglietto, the 43m explorer yacht was conceived as a true exploration vessel capable of ensuring maximum seaworthiness, comfort and safety in any and all sea conditions. 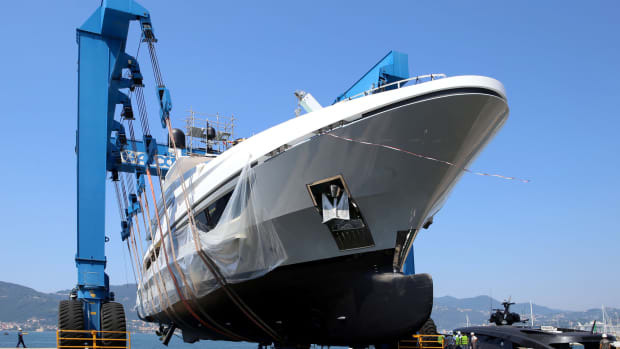 The yacht is intended for year-round use and in any possible climate, building on the stylistic heritage of different sectors: work boats, warships and the world of yachting. Interiors are characterized by large glazed surfaces allowing plenty of natural light and ensuring a constant interaction with the outside environment and landscape. Vertical elements with metal finishes convey a sense of safety and sturdiness indoors, which, alternating with pleasant shades of natural materials, create a unique backdrop for mementos from far-away places, telling compelling stories of remote lands, akin a captain’s logbook. Italian marbles and exotic woods are combined with ancient Moroccan straw mats and Indian silk fabrics. Large display cabinets and wide shelves were specifically designed to showcase precious items gathered from seas spanning the globe. The 58 square meter upper deck is entirely reserved for the owner. 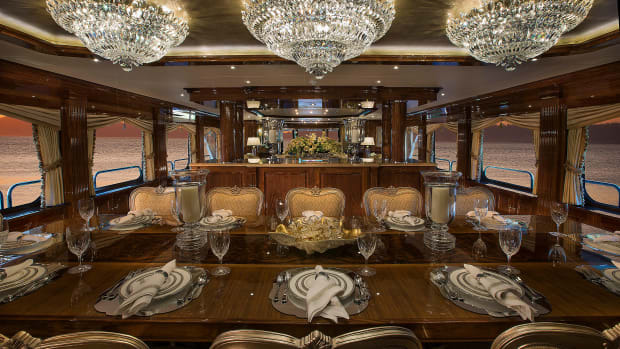 Access to the entrance salon may be opened up to guests or restricted for an entirely private owner&apos;s deck. The master cabin is large for its class, with glazed surfaces on three sides offering an impressive open view forward. Outside, beside the dining and sunbathing areas, is a helipad that can be fitted out to host parties or furnished as an outdoor living area. On the main deck, the large full-beam salon has full-height glazing on the bulwarks. A winter garden works as a buffer between the salon and the aft area. Being located in a low, barycentric position, the winter garden can also be used as a salon when cruising in bad weather conditions or as a TV room. The exteriors are mostly modular. The outdoor dining area on the upper deck can be fully enclosed by means of sliding glazed doors and air conditioned, while the stairs leading from the upper deck to the lower deck can be connected to the main salon by a system of sliding glazed panels, so that the transom can be reached directly, crossing the gym/Turkish bath area, without ever stepping outside. 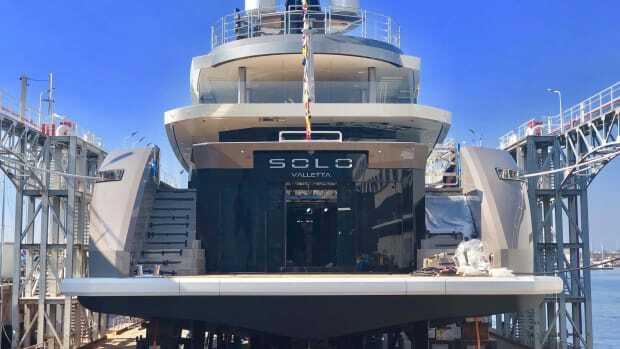 An external staircase allows access to the sundeck (a dedicated observation area), furnished with sofas and sun pads presented in a minimalist style, with teak replaced by polished flooring, typical of ice breakers and work boats. Here, a bridge house was designed using tubular elements drawing inspiration from the military but with elegant styling and sophisticated finish. The bridge house works as a lifting platform, resulting in a unique observation area for the owner and guests. 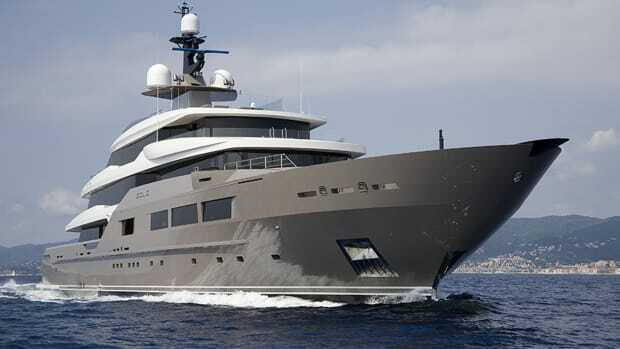 Farther aft under the helipad is the garage, whose closed side wings shelter the toys and tender when cruising. 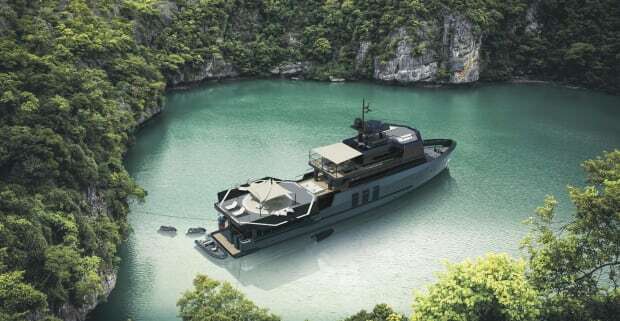 The garage can fit a 6.8m tender and several water toys, such as two jet skis or an amphibious craft, while a 3.7m tender can be stored in the forward area. Stepping into the area surrounded by the glazed surfaces amidships, the stairs descend towards the stern, reaching the spa/fitness area, fitted with a Turkish bath and a day head. To port is a large workshop area where bikes or toys can also be stored. The aft swimming platform allows easy access to the water via a transformer system. 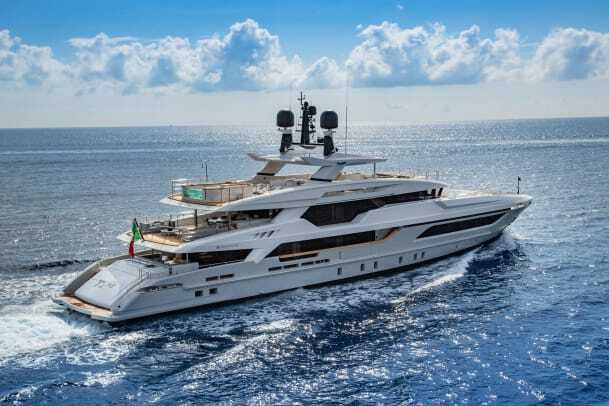 In addition to presenting these new models, Baglietto&apos;s newly launched 48m T-line was also on display at the Monaco Yacht Show. 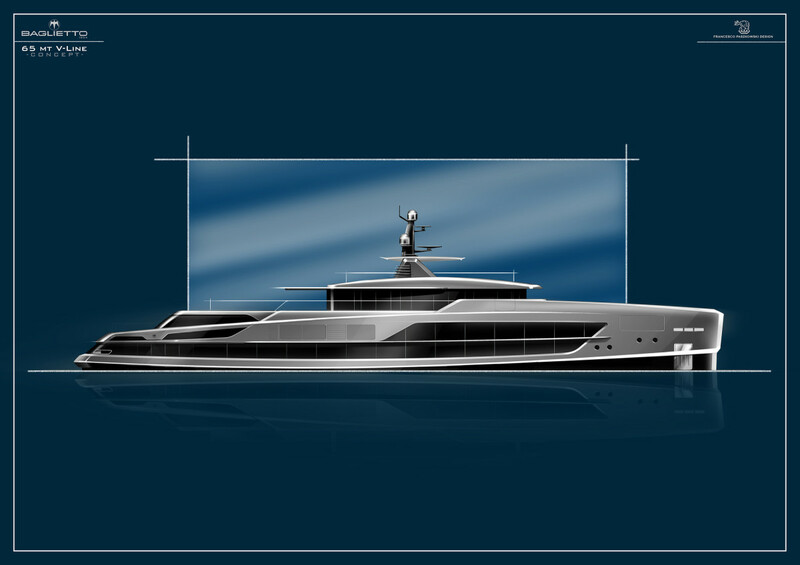 For more information on the Baglietto 48m, CLICK HERE.